David Icke is one of my favorite voices out there , and is probably one of the most controversial as well considering the nature of his material . David Icke’s work is probably not the best to start with , you should work your way up to David Icke and get some background knowledge first . He always works from the persepctive of infinite consciousness , and keeps ego out of the picture which is why I find his work some of the most fascinating as well . Once you start on this journey you realize that one of the best ways to get to the root of the so called conspiracies is to follow the money. Once you follow the money trail to the bloodlines like the Rothschilds and the Rockefellers you end up at a place that takes you into the realm of the Anunnaki or Reptilian races , the bible called them the Nephilim . This is where we may lose some people , and that’s ok, it just means you may not be ready to explore those areas yet , and its perfectly understandable. Personally I take everything with a grain of salt , but I have to admit that Davids work and his over all persepctive are very much in alignment with my own , although I certainly didn’t get there over night. Like most researchers I have spent years absorbing data and coming up with my own conclusion, and I find myself in good company with David Icke. Here is a new David Icke presentation,he is firing on all eight cylinders in this one,wow,go David! Here is a wake up call people listen and take action, Be The Change! 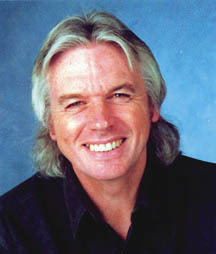 Here David Icke is speaking with Bill Ryan of project Avalon , this is great stuff , Classic Ike. And Because I love Davids work so much and its so fascinating I will throw in this video “The Reptilian Agenda ” these should get you hooked on David Icke , the rest is up to you.